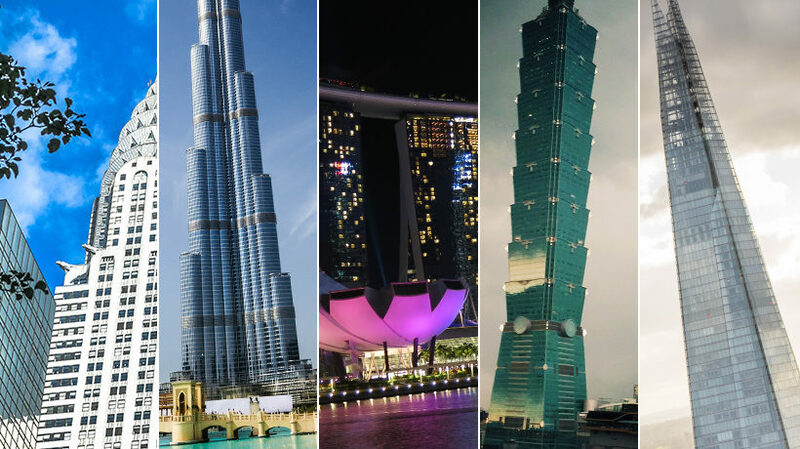 There are many iconic buildings across the world, with more being built every year. 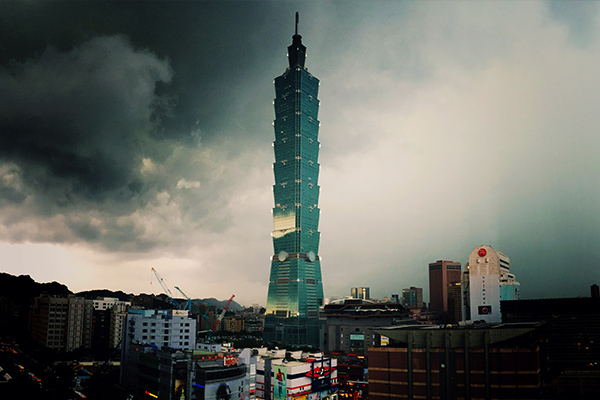 Completed in 2004, Taipei 101 Tower in Taipei City, Taiwan, has a massive 60-foot spire inspired by the native bamboo plant. Formally known as the Taipei Financial Centre, the striking design borrows heavily from traditional Chinese culture. For example, both the interior and exterior incorporate the shape of a Chinese pagoda and bamboo flowers. The number eight, which is associated with success, is represented by the eight exterior sections of the building. Finally, the green glass curtain wall is meant to transmit the colour of nature into the sky. 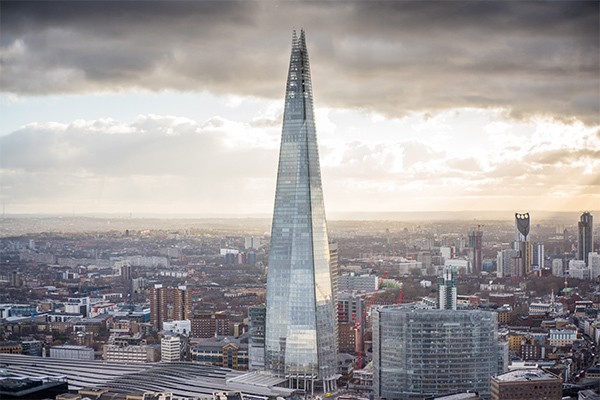 London has more than its fair share of iconic buildings, but The Shard has moved the capital’s architecture to new heights. The 95-storey skyscraper, designed by Italian architect Renzo Piano, stands on the south bank of the Thames, away from the crowded City on the opposite bank. Completed in 2012, The Shard is the tallest building in the UK and the European Union (well, until Brexit). Visitors can enjoy the view from a viewing gallery and open-air observation deck on the 72nd floor. The smallest building in our list is probably the most dramatic and unusual. 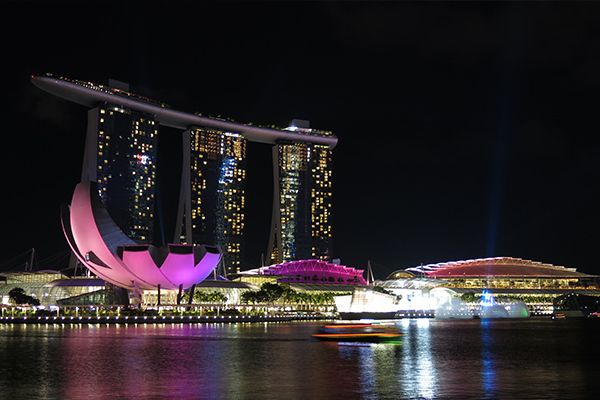 Inspired by decks of cards, the three-tower structure was designed by Moshe Safdie and is topped by a 1,120ft-long SkyPark. The whole complex includes a 2,561-room hotel, a huge exhibition centre, shopping mall, museum, two theatres, a selection of restaurants, two floating crystal pavilions and the world’s largest atrium casino. Opened in 2011, it can accommodate 45,000 people at once, while the famous infinity pool offers a chance to swim with the greatest panorama ever. 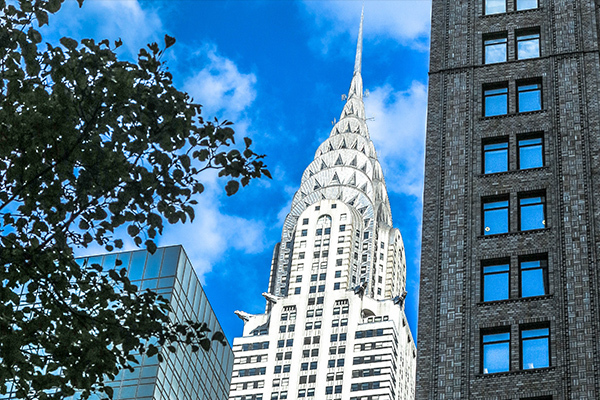 Not as famous as its New York neighbour, the Empire State Building, the Chrysler Building was the first skyscraper to be crowned “the World’s Tallest Building” after winning a race to the skies with The Bank of Manhattan. Amazingly, the art deco masterpiece claimed the title by secretly erecting an 125-foot spire in just 90 minutes. The Chrysler Building’s fame was short lived as just 11 months later the much larger Empire State Building opened in 1931. However, its glimmering metallic crown and art deco lobby still make it one of our favourites. Finally, the daddy of them all. 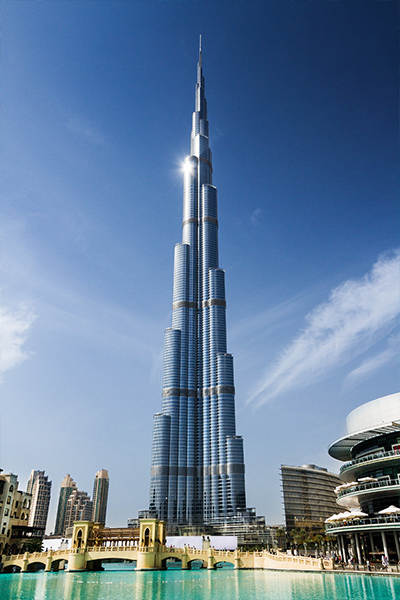 Since its opening in 2010, the Burj Khalifa has held the title of tallest building in the world. Also known as the Burj Dubai or Dubai Tower, the needle-like 162-storey skyscraper in Dubai is now named after Khalifa Bin Zayed, the president of the United Arab Emirates. The project was the brainchild of American architect of Adrian Smith, who is currently working on an even taller project – the Jeddah Tower in Saudia Arabia.